The Mercedes SLK R172 is the third generation of the 1996 introduced SLK series. It was built from 2011 to 2016, after which it has been named Mercedes SLC since the facelift. The long bonnet and the far rear passenger compartment are typical for Mercedes sports cars. The expressive styling is reflected in the front with the diamond grill. In the silhouette, the sporty styling continues in details such as air intakes with fins in silver chrome. The SLK R172 is available with 4- or 6-cylinder gasoline engines, as well as with 4-cylinder diesel engines. The power range goes from 156 hp (SLC 180) to 306 hp (SLK 350). In addition, there are the AMG models SLC43 and SLK55 AMG. 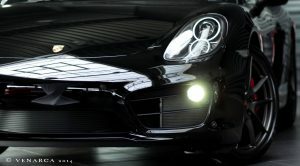 The strongest engine is the V8 inside the SLK55 AMG with a turbocharged 422 hp (310 kW). 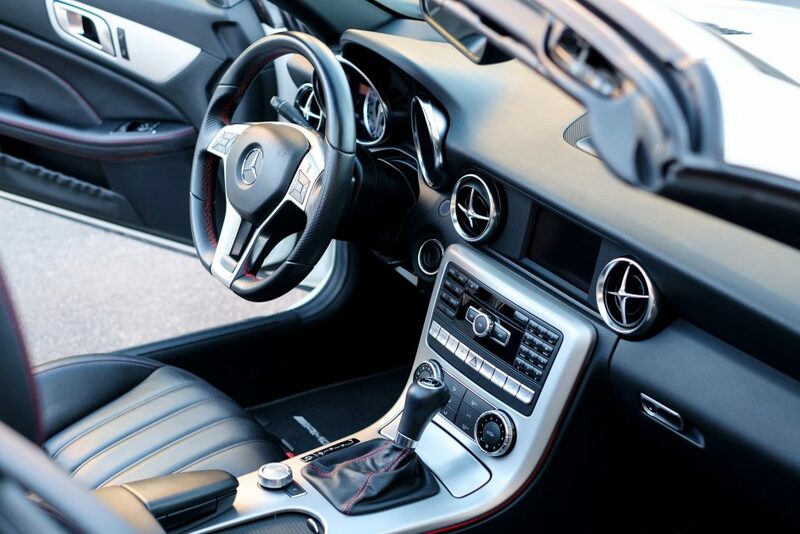 The entire interior of the SLK R172 is very similar to the SLS AMG. The center console, the speedometer, the air jets, and the rest of the interior are all very similar. You have the feeling to sit in a slightly smaller SLS AMG. The Mercedes SLC replaced the SLK in 2017 and came with additional features such as the Dynamic Select. This allows the driver to easily switch between Eco, Comfort, Sport, Sport +, and Individual driving modes. Furthermore, instead of the 7-speed automatic, a 9-speed automatic transmission was installed. The SLK 350 and SLK 55 AMG models were discontinued with the introduction of the SLC. The electro-hydraulically operated vario roof opens in under 20 seconds. The process can be continued up to a speed of 40 km/h. For the predecessor models this was only possible when the vehicle was at a standstill. 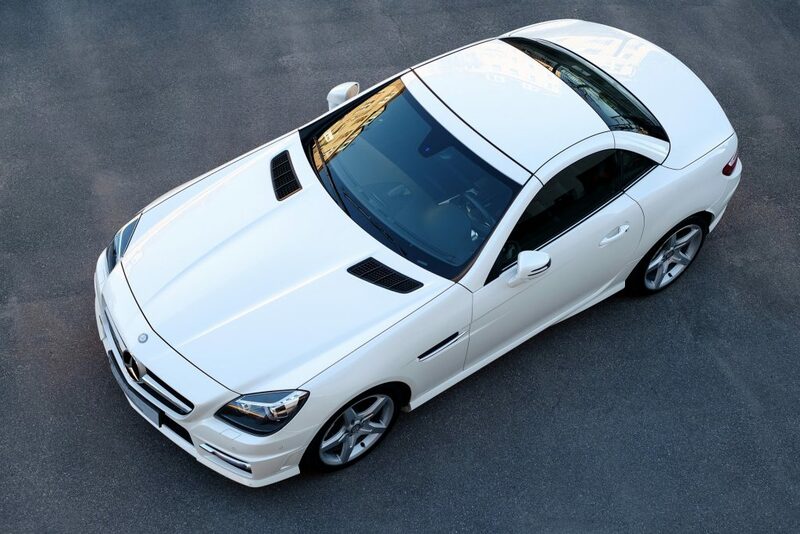 The Mercedes SLK could not make a name in all three generations as a thoroughbred sports car. But those who consider the SLC to be a slow retiree car are clearly wrong. The suspension and dampers always provide a compelling driving experience, and the steering is pleasant and direct without being too harsh. Even the 1.8-liter base engine of the Mercedes SLC/SLK 200 makes a good impression with its turbo-charged 184 hp (135 kW) and maximum torque of 270 Nm for normal demands. The low center of gravity and short overhangs ensure that you can experience a lot of fun on winding roads with the Mercedes SLC.